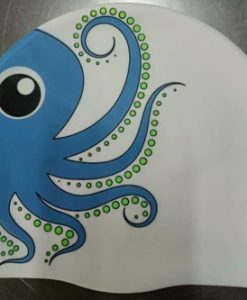 Green swim hat raising money for ovarian cancer research (see more on 12swims4Mum). 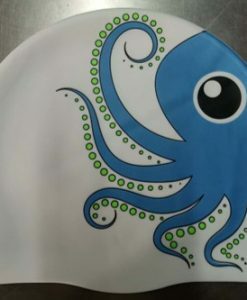 This sea monster swimming cap will give you eyes in the front or back of your head as you cruise around the ocean or pool. 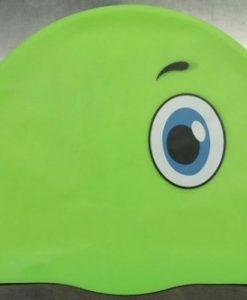 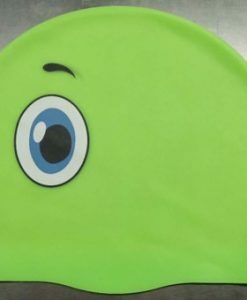 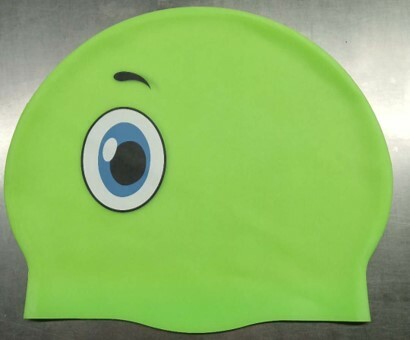 Keep an eye on your swimming buddies with this green swim hat, either those in front of you, or turn the green swim hat round for eyes in the back of your head Once on it will look like you are watching them while swimming along, perfect if you want to practice your crocodile look! 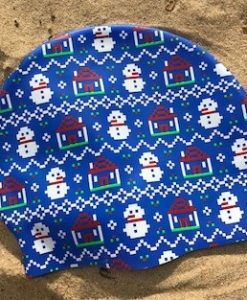 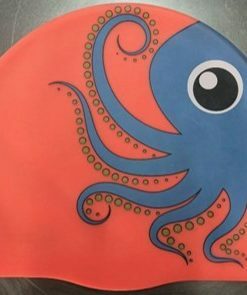 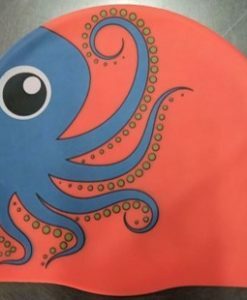 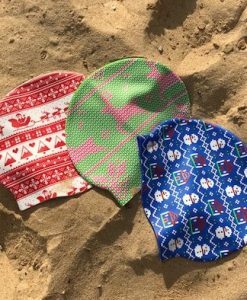 You will be easily spotted swimming in the pool or the ocean with this swimming cap, plus you will be supporting a GREAT cause. 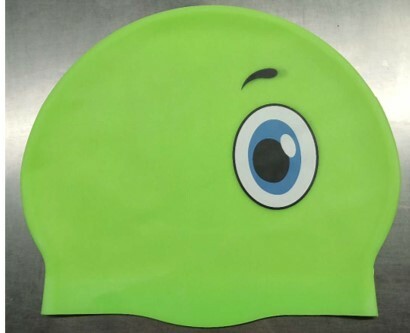 Made from silicon measuring 20cm by 23cm this sea monster green swim hat is going to make you stand out in the water! 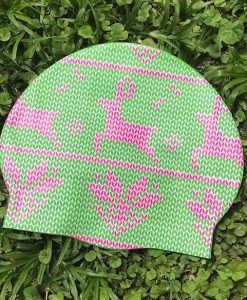 All hats are sent from Sydney, Australia by airmail, orders will therefore will take 1-2 weeks to reach you if you are outside of Australia.